Authored by Caleb Cohen, a transplated Pittsburgh'er whose heart and soul still reside in the Steel City. Raised in the suburbs (Beaver Falls), educated at the University of Pittsburgh (CAS '93) and married at Heinz Chapel the author knows, loves and lives Pittsburgh every day. Currently living in Saline, Michigan, just outside of Ann Arbor, home of the University of Michigan, Caleb uses this space to pontificate on things from the mundane to the sublime, secular to religious and political to comedic, although they can be considered one in the same at many times. If you don't find something interesting today, check back tomorrow, because you probably will then. 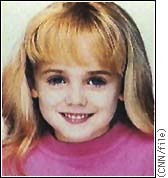 Is the JonBenet Ramsey case solved? I swore the kid brother did it - I was 90% sure of this... Seems today they just arrested someone who has confessed to parts of the crime unknown to the general public. If this pans out and he's the bad guy, all I can say is "wow" and how bad that we, the public/media, all assumed it was someone inside the family all along. How much would you pay for that (hot) dog in the window? Josh and I were watching the Food Network's UnWrapped today over lunch. They did a segment on Pinks Hot Dogs out of LA. They opened in 1939 and sold dogs for 10 cents. Marc Summers said "that was a great deal during the depression." So I decided to see how great a deal that was in fact. According to one Internet inflation calculator, $0.10 in 1939 comes out to $1.31 today. You can get a dog at Ikea's snack shack for only 50 cents. That comes out to only $0.04 - less than half the price that Pinks was charging. A Coney Dog here in Ann Arbor is only $1.75, still more expensive than the 10c deal back in 1939. I honestly neither know nor can find the price of a dog on the street (i.e. outdoor hot dog cart). I thought it would be a buck, but perhaps today it's $2. So the truth comes out - NASA doesn't have the original tapes of the 1969 moon landing. Seems to confirm what conspiracy theorists have been stating for over 30 years now - NASA faked the moon landings in a Hollywood back lot. Hey, it's my anniversary today, no time to blog. Esp with church responsiblities in the morning, yard-work during nap time afterward and then dinner at Metzer's when everyone's up, cleaned and ready to celebrate. What will I do with my days now? Now that they have canceled both Blind Date and ElimiDate I don't know what I will do with my life. I have a couple of TiVo's in the house, so perhaps I could dedicate one, or more, of them to recording all the episodes possible - put a couple of 250gb hard drives into each. According to the CNN article, there are only 1,300 episodes of Blind Date to be replayed in syndication. I wonder how much disk space I will need to get them all. I am so depressed. My life just seems to be coming to a halt with this news. What's next - will they cancel Big Brother? With all the controversy? What - you didn't hear? You don't subscribe to the live feeds? Geese, am I the ONLY ONE with a life out here on the net? Big Brother had their weekly Head of Household competition last week on live TV. There were a couple of major technical malfunctions and Howie was prematurely eliminated. He started yelling and screaming at the camera and they cut the mics. After the episode ended, he continued talking to the walls and cameras telling them the game was messed up and that they needed to address the situation immediately or he would walk off the show and sue CBS. Heck, I even wrote e-mail to CBS and was going to phone them in the AM to tell them this is bogus. At 11 PM BBT they re-did the HOH competition - Janelle won and is the HOH now. Erika, the person the rest of the planet thinks is HOH is literally crying 24x7. She's now threating to sue CBS. They had the nomination ceremony yesterday and she's on the block. Talk about a roller coaster of emotions - one minute you're HOH and the next you're on the block. That's not all - According to what Will, Boogie and Ericka are saying on the live feeds - and these guys are jokesters so who knows if what they're saying is true - Boogie & Erika have been living together for 6 months and are 'nearly engaged.' If that's really true, it's an amazing secret alliance and something that CBS would have never permitted if they knew.